Playing hooky from work…the first bright sunny warm day in a loooong time. 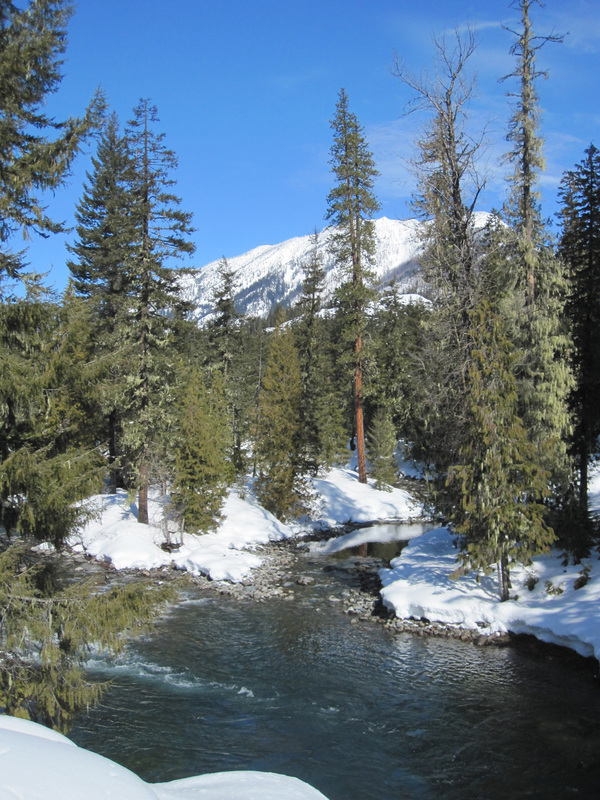 Have not skied nearly enough this winter, so took myself to Salmon la Sac wanting to see and hear the Cle Elum River. Wanting to glide and slide. And I did, stripped down to the first layer of clothing, very comfortable in the balmy air. I feel like a little mole emerging from a hole, blinking in the sun. Well, it’s still cloudy and snowing in good ol Middle Maine… glad you have some welcome brightness & got a good ski excursion under your boots. Our rivers and streams are not open yet. Deb, what’s the name of the little stream pouring into the Cle Elum? Sounds like fun, but I’m not up to skiing or anything real active right now. The aging bones are aching and a mild walk is about all I’m up to! The sun is glorious here in the desert as well! It’s still pretty chilly most days and the wind still is blowing, but I know spring is coming – the birds and flowers are telling so!